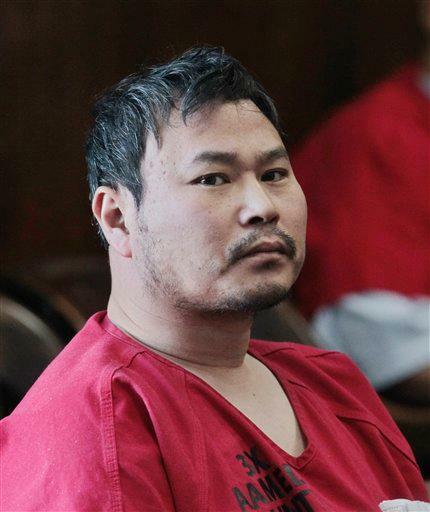 This past Monday Oikos University gunman One Goh was in court and his lawyer entered a not guilty plea for his client. So much for taking responsibility for his actions huh? What am I talking about you ask? At one point during his recent incarceration Goh was starving himself on the grounds he was ashamed of what he did. I almost felt an iota of pity for him. That’s apparently all over and done as Goh has been eating again. What really got to me about Goh refusing food, except for the fact that he’s still drawing air, is that a lot of media outlets were calling it a hunger strike. What he was on was not a hunger strike. Hunger strikes are usually used to accomplish some greater good. While his death by starvation may have been a greater good that’s not why he was doing it. He was just committing a slow form of suicide like the coward that he is.